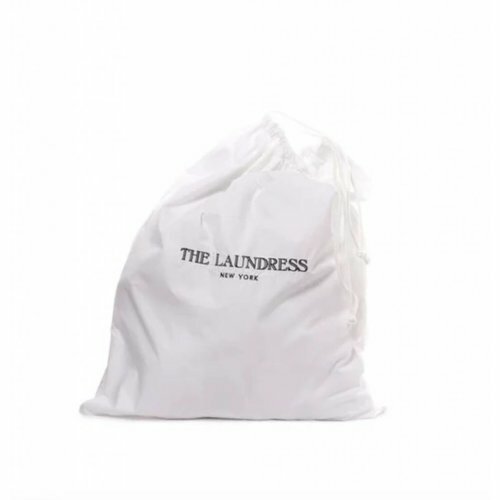 Inspired by the classic laundry bags in Europe, The Laundress Hotel Laundry Bag is perfect for the home, travel, or gym. 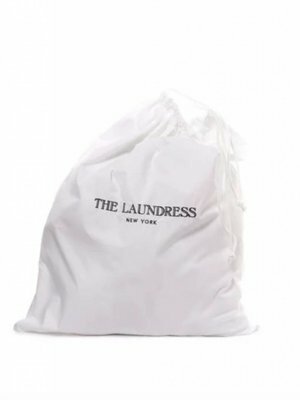 The bag easily hangs on a door, or hooks, or sits in the closet. 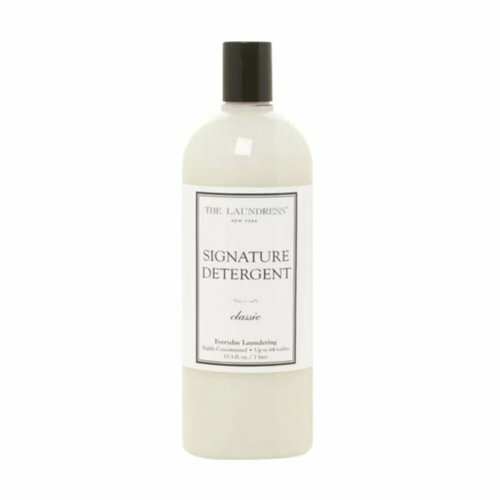 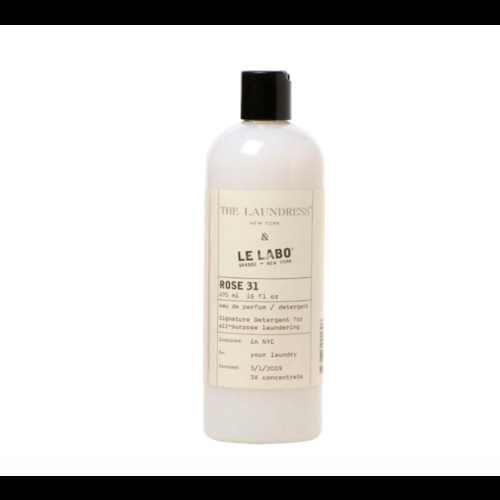 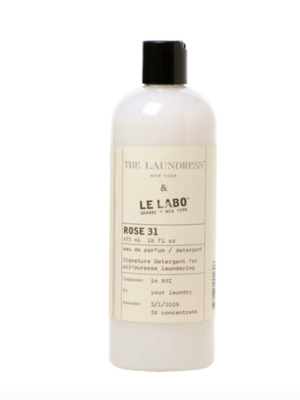 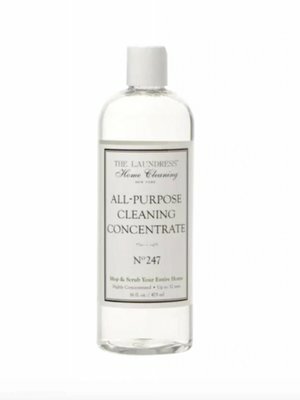 The Laundress and Le Labo united to blend the finest of modern perfumery (their Rose 31 fragrance) with the best-performing Signature Detergent formula. 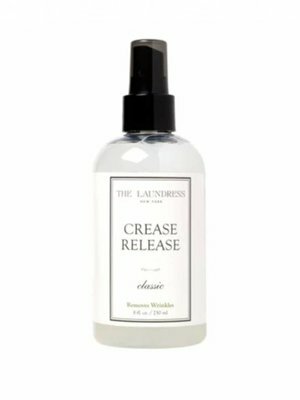 The resulting product single-handedly refines the art of laundry. 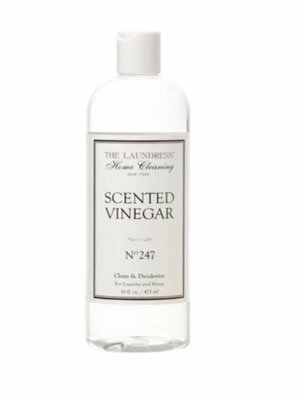 Vinegar is known for its powerful cleansing properties that fight stains, buildup, odors, and germs. 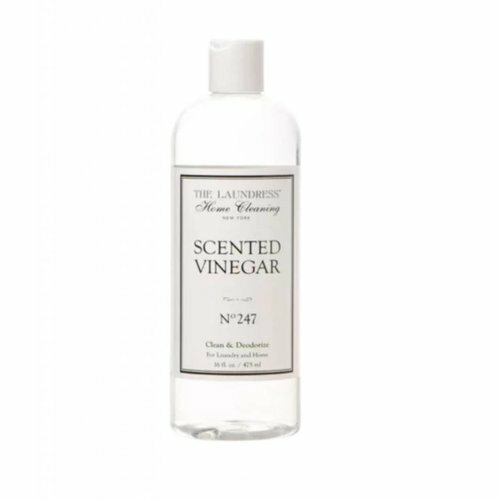 This multipurpose product gets glassware to sparkle, easily removes bathtub film, effectively tackles messes and odors in the kitchen, and more! Developed for those who are serious about caring for their clothes and linens. For all-purpose laundering, Signature Detergent is perfectly formulated to whiten, brighten, and preserve color while removing stains. 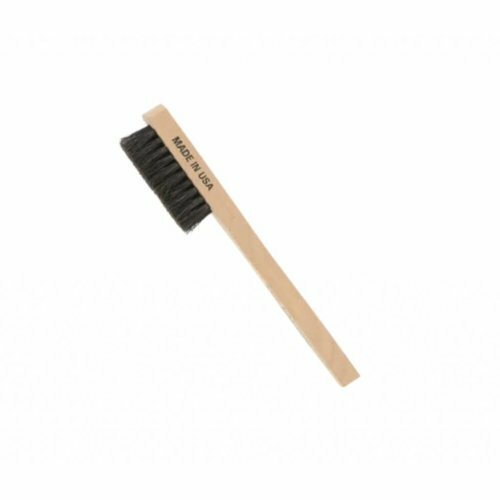 Stain Brush is the ideal tool for removing stains on all fabrics, from delicate knits to sturdy linens. 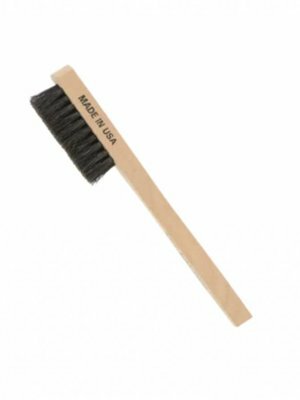 Rather than working a stain with your finger, use this brush to effectively treat the target area without harming the fabric. 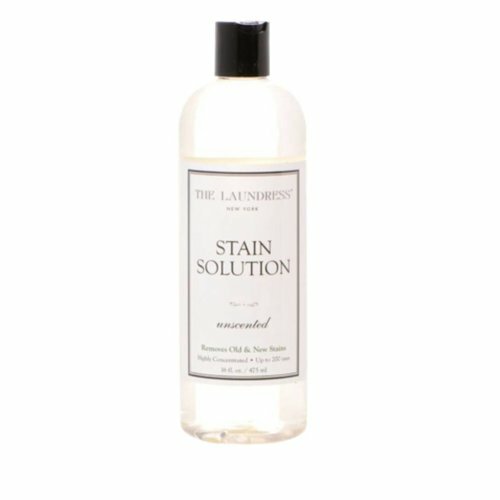 tough stains can be frustrating—from red wine and coffee to pit stains. 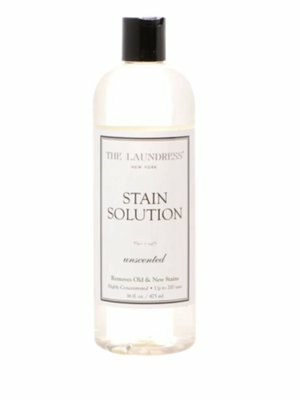 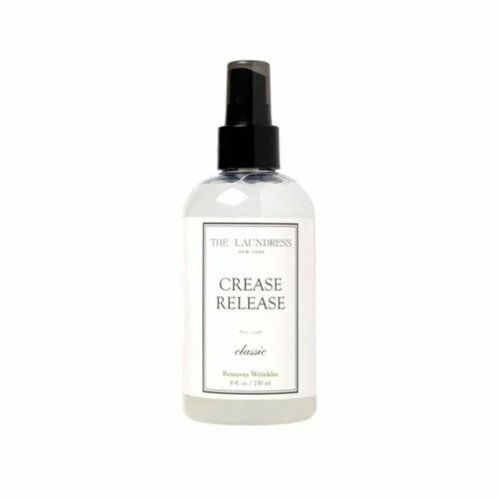 Whether you’re rescuing a brand-new shirt or reviving your antique bedding just one drop of this powerful unscented solution effectively removes stubborn stains, old and new. 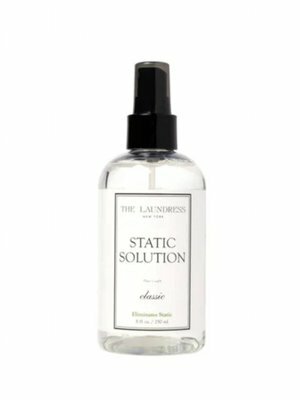 Static makes its annual debut when the humidity drops and the cold, dry weather sets in. 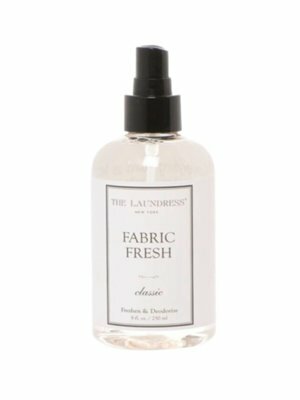 Fabrics can also build up a charge when you wear them or put them in the dryer. 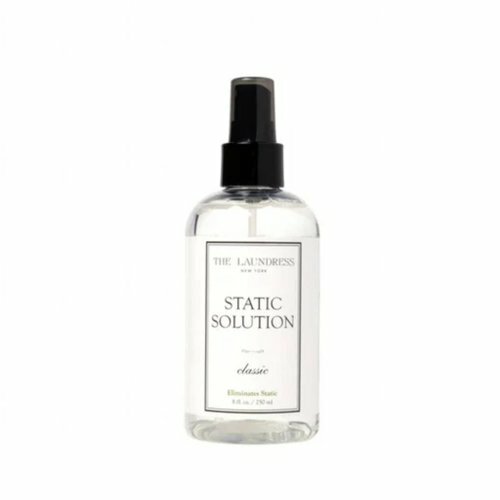 This non-aerosol and nontoxic solution is designed to combat those moments. 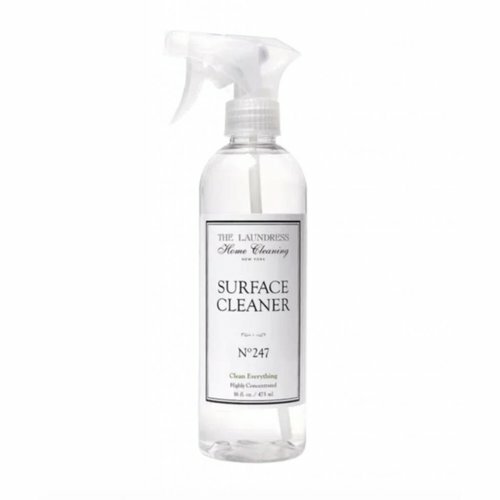 This versatile formula works beautifully on all surfaces, from stainless steel to finished wood. 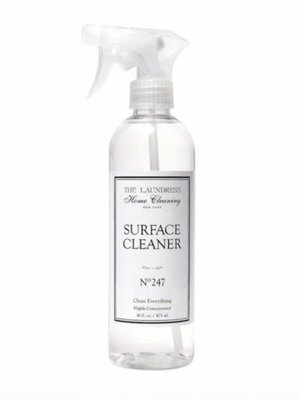 Finally, a single product to tackle kitchen countertops, appliances, bathroom fixtures, and tiles. 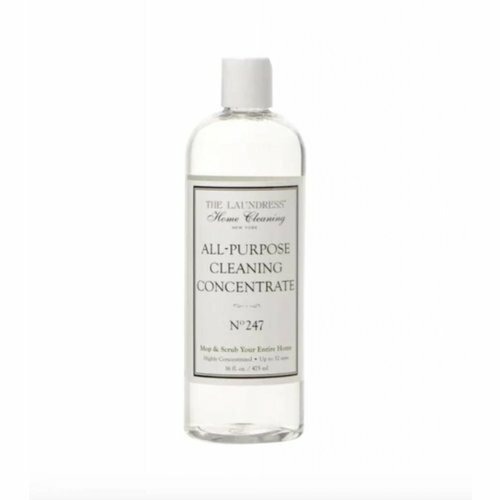 Highly concentrated yet safe to use around kids and food!